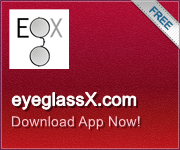 New Transitions Lenses XTRActive (Polycarbonate) light-weight hard-coated lenses. These photochromic, light adaptive lenses with Chromea7 technology are the latest technology from Transitions Lenses. Lenses are near-clear indoors & extra dark outside & tinting while driving. Provides sunglass like max tinting & Blocks 100% of harmful UV light. All lenses include free scratch guard, and perfect mounting into your frame. Every job is completed and verified by licensed opticians at our USA lab. Compared to: $359.95 retail. Don't forget anti-reflection (AR) coating treatment...just add to Cart before Check-out. Click Lens Image to Checkout & Add AR Upgrade. *For prescriptions greater than - 6.00 or +4.00 or cylinder greater than +/- 2.00, may incur added charge. XTRA dark outdoors (available in grey or brown). I like these transitions extra lenses. They get dark like sunglasses outside. Really good price here.